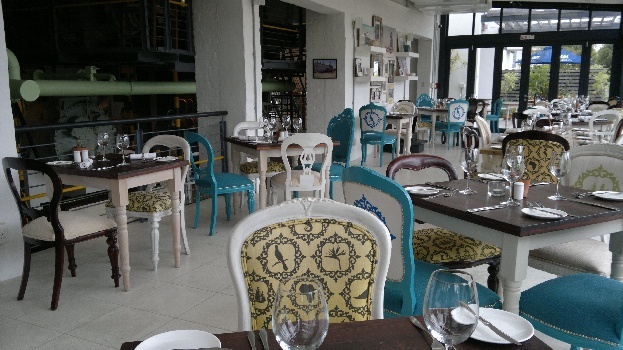 It takes a bright flash of creative genius and more than just a few lightbulb moments to conjure up the successful transformation of an old power station into one of the Garden Route’s most upbeat and daringly different hotels. 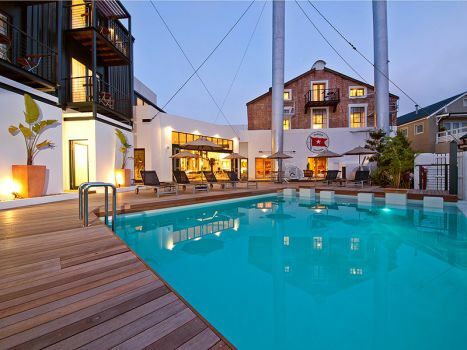 In a plucky and spirited venture, the power station on Knysna’s Thesen Islands was converted into a five-star boutique hotel, rendering the fabulous Turbine Hotel & Spa. It’s positively awesome! Let’s saunter down the lane of history just for a moment. 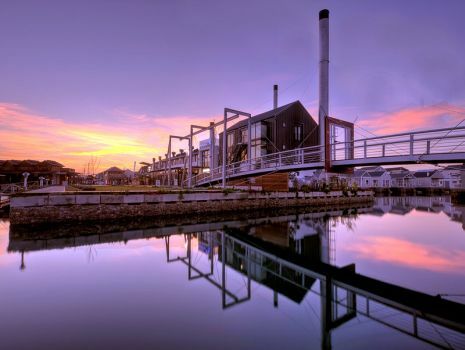 50 years ago, Knysna’s power was still derived from a wood-fired turbine, and it is this power station that has provided the inspiration and structure for what is now one of the most exciting hospitality ventures along the Garden Route. The former power station had once provided electricity for the whole of Knysna and Plettenberg Bay by burning the woodchips that remained after the cutting of local timber. Most of the primary components of the power station were left in place and now form an integral part of the theme of this luxuriously funky hotel. Some of the power station equipment that is now part of the hotel is almost 100 years old. 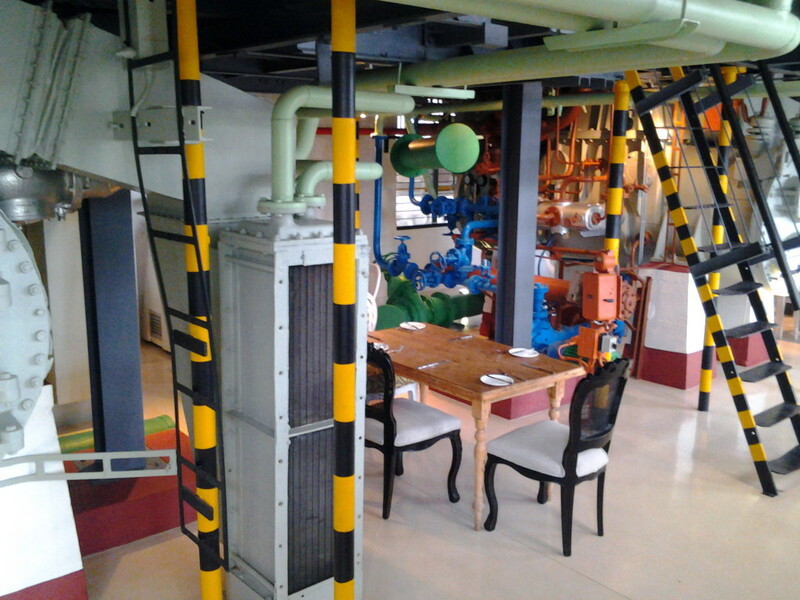 The hotel incorporates the original turbines, mechanical equipment, operating panels and large sections of piping. In addition, numerous small pieces of equipment, including gauges, switches, buttons and dials, have been used creatively in the new hotel. Thesen Island is home to a collection of upmarket residences which are linked to each other and to the Knysna lagoon through a series of waterways. The gorgeously transformed Turbine Hotel & Spa is, of course, a primary landmark on the Islands, and an excitingly different holiday option. 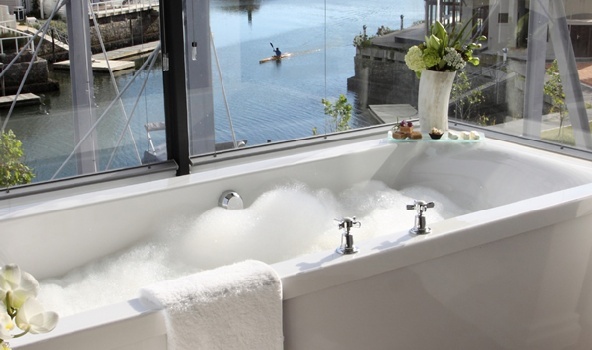 There are 24 luxurious and well-accessorised bedrooms and suites, some with balconies and some with gardens. Facilities include an Amani African Spa, the 90-seater Island Café, the Turbine Tapas Bar, a pool deck, conferencing for 60 delegates, and a motorized pontoon for sunset lagoon cruises. 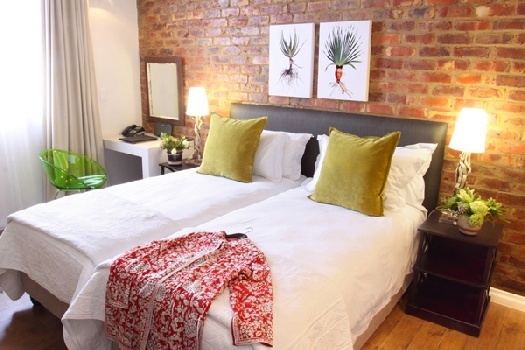 All in all, this is a wonderful stay on the Garden Route.